Watch the hilarious Bellator 149 ‘baby nuts’ face off with Kimbo Slice, Dada 5000, Ken Shamrock and Royce Gracie. It was, well, you just need to watch it….. 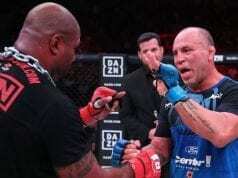 Whether you appreciate Bellator’s jaunty approach to the mixed martial arts game or not, you have to admit it can be damn entertaining at times. The consensus #2 promotion behind the UFC is always making their best attempts at signing current and former UFC stars, or just about anyone that can bring in ratings. As a result, you have a Bellator 149 main card that’s stacked with some very unexpected faces. 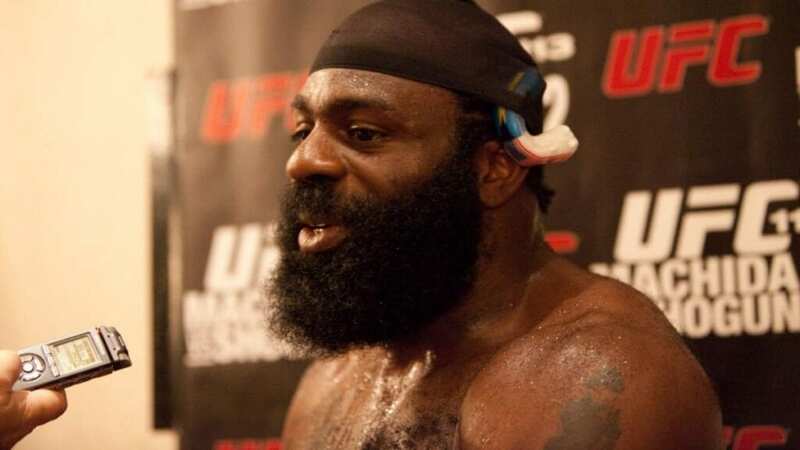 Then there’s the return of Kimbo Slice for BMMA, as he looks to build on his knockout victory over Ken Shamrock, as he faces Dada 5000. ‘The World’s Most Dangerous Man’ is also on show in the main event, as Shamrock faces fellow UFC legend Royce Gracie for the third time in their storied careers. 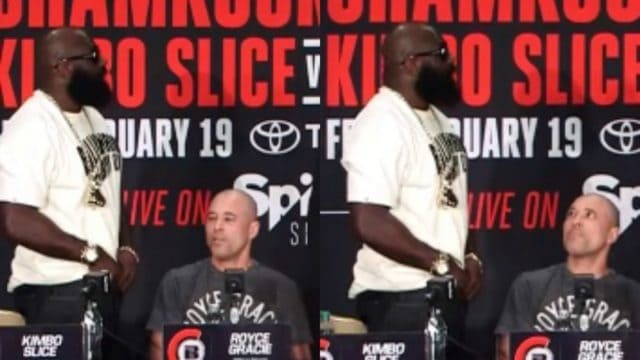 But the Bellator 149 press conference was all about the co-main event between street fighting sensations Kimbo Slice and Dada 5000. Just…wow. A couple years ago we would have looked at this from a very different angle, but we now know that this is Bellator’s style. They like the pro-wrestling type reputation that’s stuck to them, and hey, they are making headlines on a regular basis. Forget the fact it’s because two grown men nearly exposed their testicles to prove they don’t have baby nuts, media attention is media attention, right? With yet another massive night coming up tomorrow (Friday February 19, 2016) Bellator will likely overshadow the rest of the weekend’s mainstream MMA action, so be prepared for some shady fight highlights, weird confrontations, hilarious quotes and just all round awesome/circus MMA action courtesy of Scott Coker’s steam powered merry-go-round.